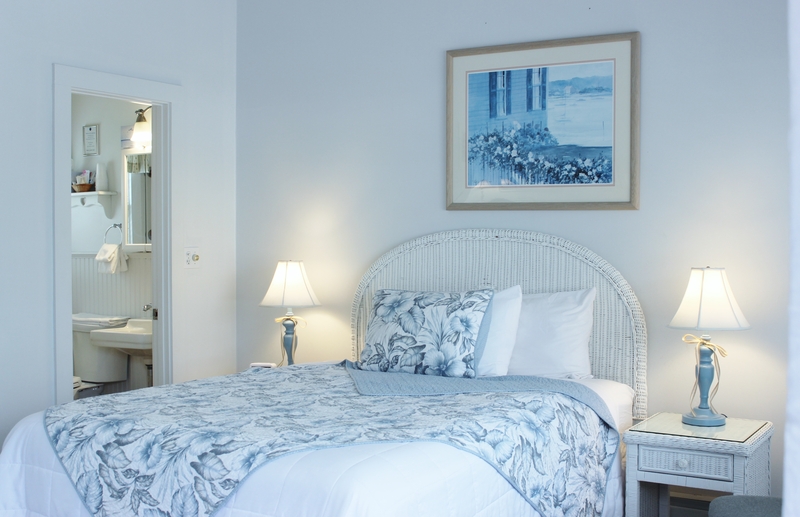 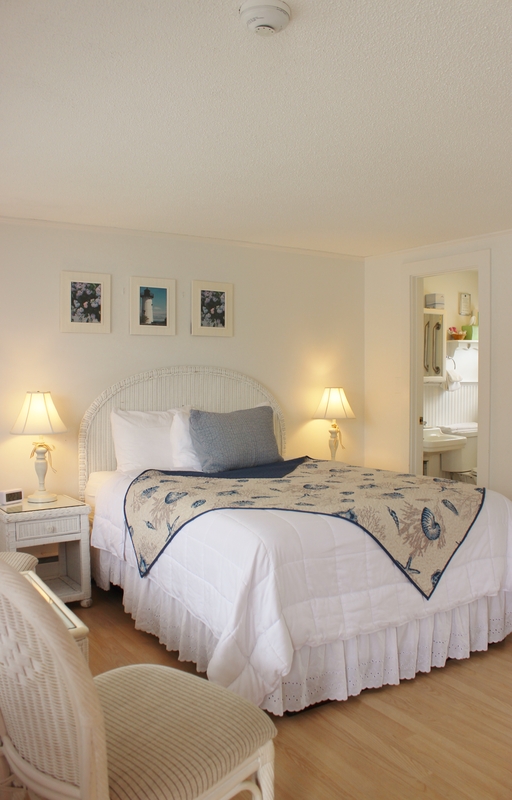 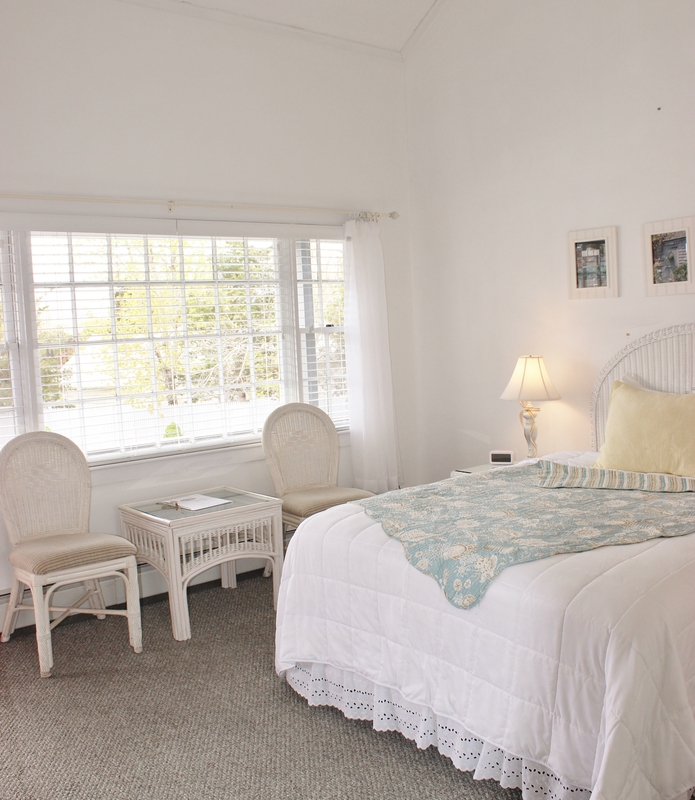 Our Cottage Queen Rooms are spacious 1st or 2nd floor bedrooms available in both buildings. 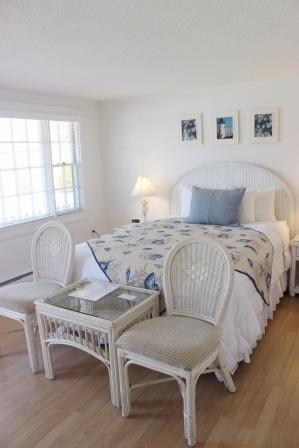 They are decorated in a classic Cape Cod cottage style. 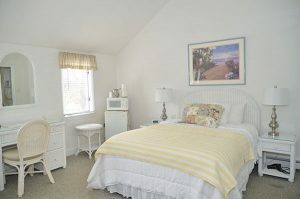 1 Queen bed, maximum of 2 guests. 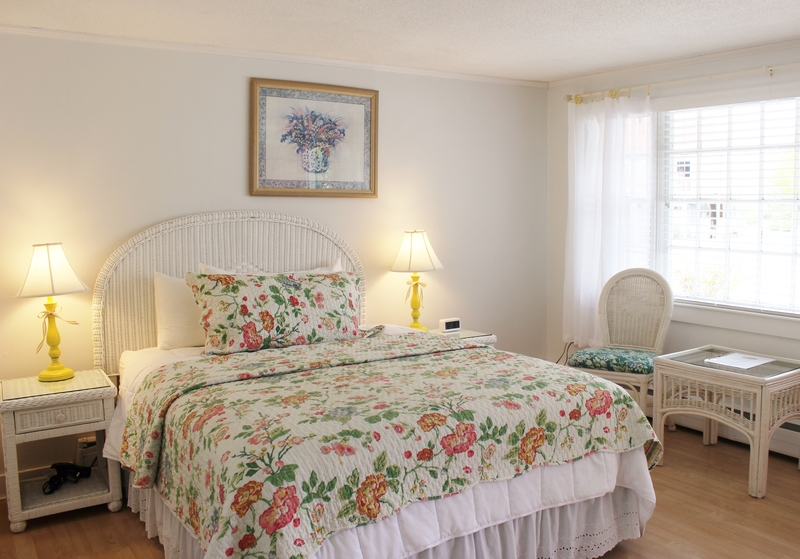 There is no extra bedding allowed in our Cottage Queen Rooms.